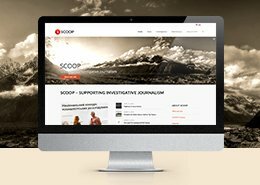 SCOOP is a network and support structure for investigative journalists in Eastern Europe, Russia, Caucasus and Central Asia. SCOOP is founded and managed by the Danish Association of Investigative Journalism (FUJ) and is run by FUJ in cooperation with International Media Support, a Danish ngo. 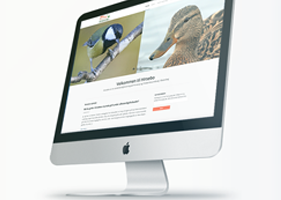 The site is very large, and contains several hundred articles in multiple languages. The previous version of their website had serious issues with usability. The website was in English and Russian for the Eastern European section, and French and English for the African section, causing numerous navigation issues and confusion for the site’s visitors. 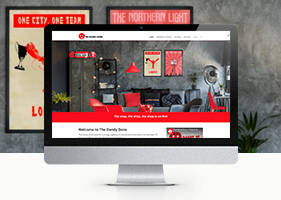 Working with the client I felt splitting the website into two was the best solution, whereby the African content got it’s own separate website. This became PAIR, which while visually different to SCOOP, has shared thematic feel, to show the relationship between the two sites. 2019 update: PAIR now resides in a subdomain due to funding issues and is an archive not being updated. SCOOP was a complicated logo design to work on. Visually the word is odd. Very rounded letters plus imagery for journalism and investigation led only to cliches like magnifying glasses, globes and other journalism paraphernalia. There was a secondary issue with the website’s URL beginning i-scoop. This took me towards developing the ‘i’ symbol, also to aid visitors to remember the website’s address.